Feetures Ultra Light No Show Tab White socks have the perfect amount of compression and has a seamless toe. Feetures Ultra Light No Show Tab White socks have the perfect amount of compression and has a seamless toe. With iWick moisture managing fibers this high performance sock hugs your feet, prevents blisters and keeps your feet dry and comfortable all day long. The FA5500 Ultra Light Low Cut sock is designed with a focus on fit. This Ultra Light Cushion Crew Sock is knit with Lycra bands, part of Feetures Snug-Fit technology designed to keep socks securely in place. Good for walking, running, cycling training and even court sports, light cushioning offers protection from impact where you need it. Mesh vents and iWick fibers guarantee a cool, dry foot and protection from blisters. Seamless toe closures and graduated rib top. 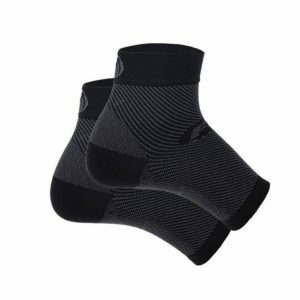 These high Performance Feetures Ultra Light No Show Tab White sock is the preferred option for those who want a lightweight sock that takes up less room in the shoe.